William Griffith was born in Lawrence, Kansas in 1866 and studied art at Washington University in St. Louis. Griffith also studied at the Academie Julian in Paris before returning to Kansas for a teaching position at Kansas University where he woudl reain for the next 20 years. In 1918, Griffith first visited Southern California, and two years later moved to Laguna Beach where he served as President of the Laguna Beach Art Association. 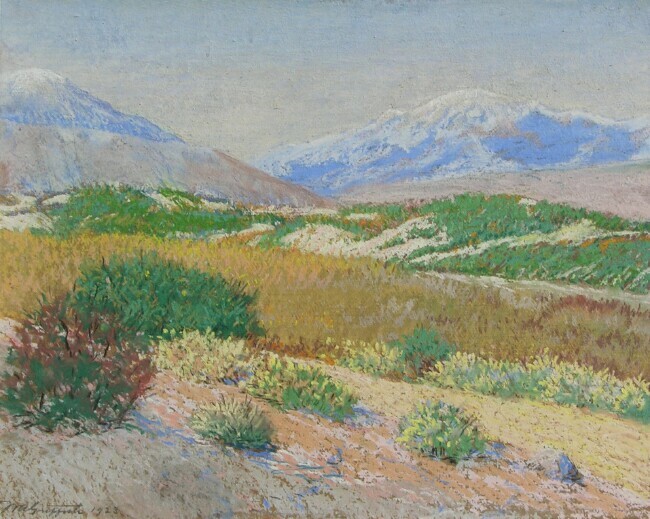 Griffith was captivated by the beauty of his new surroundings and he was a prolific landscape and coastal painter until his death in 1940.